These days everyone is building a guest blogging enabled WordPress blog, and most of the smart bloggers are offering guest submission by dashboard. 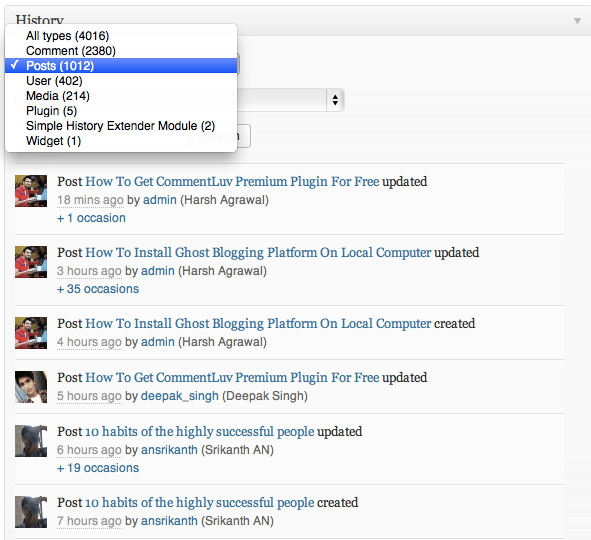 I always find the idea of submitting guest post via dashboard to be more beneficial and time-saving for blog admin. But, at the same time giving your users access to your WordPress dashboard might be a security threat at times, as sometime things can do unexpected (by the end WordPress is just a piece of software). Most of my blogs are open for guest blogging, and I use plenty of plugins to make the process seamlessly simple and also ensure that I don’t let user exploit the process. For failed login attempt and many more. Similar history is one useful plugin for multi-authored WordPress blog to see what other users are doing on your blog dashboard. You can download and install the plugin from official repo over here, and follow below mentioned guide to learn how to configure and use simple history plugin. Once you have activated the plugin, go to Settings > simple history and here you can configure the plugin. Now, save the changes and go back to your WordPress dashboard. Here you will see a column for history, and you can monitor what users are doing on your site. The good part is, you can sort the history column based on action. For example, if you want to see what all changes was made in media uploader, you can select “Media” and see the changes. You can also search for a particular user and see his action on the blog. This plugin automatically clears log after every 60 days, but you can always manually clear it from settings > Simple history. This is useful, when you have checked all the recent activities, and start a fresh. A feature to exclude certain user from user-monitoring could be very useful, as I’m the super-admin of my blog, and I don’t want to see my own activities. (Dric hope to see this feature in future). Over all, if you have been looking for a simple WordPress plugin which let you see what other users are doing inside your WordPress dashboard, simple history is one perfect plugin for you. Another similar plugin is WP-activity. Do let me know if you know about any more similar plugin? 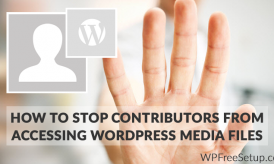 Don’t forget to share about this useful plugin with other WordPress users. Does the Simple History plugin have an option to not clear out the activity every 60 days? What do you recommend that would keep track of all of the history? CRYSTAL O’MARA: You can use a filter to modify the number of days the history is keept. It does clear log items older than 60 days be default because otherwise the log may be too large.